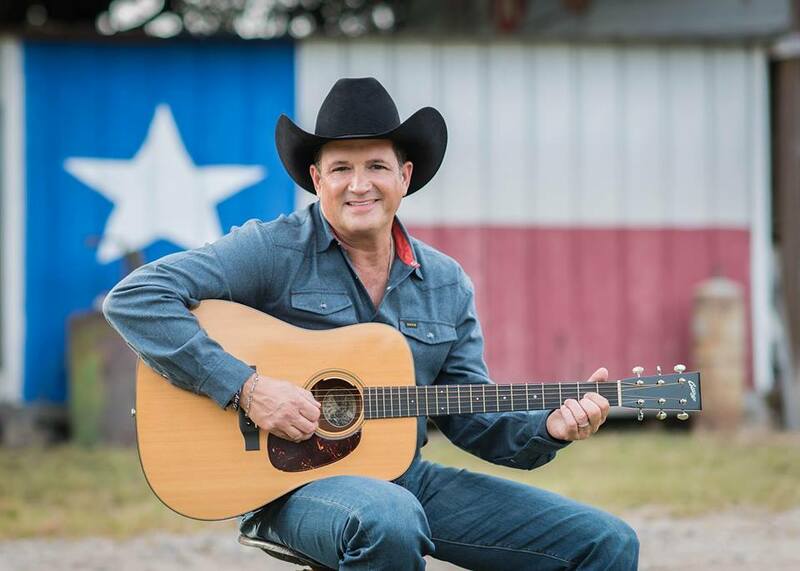 The club welcomes back Tracy Byrd on Saturday, October 26th. TABLE OPTIONS: Tables 1-20 include a table for 4, 4 dinner buffets for $200 (plus 6% sales tax and 4% service fee. See map on Event page for table location. Doors open at 7PM for tables. BYRD’S NEST: tickets (gated standing room in front of stage) are $40 (plus 6% sales tax/ 4%service fees). Byrd’s nest tickets come with 1 drink coupon. General Admission Standing Room Only tickets are $30 (plus 6% sales tax/ 4% service fees). Doors for the Byrd’s nest and General Admission open at 7:40. The show starts at 8:15. This is an all ages show. Tracy Byrd became a household name on the Country Music Scene in 1993 when his third single, called “Holdin’ Heaven”, off of his MCA Records, self-titled debut album, hit #1 on the Billboard Country Charts. The Album also included the remake hit of Johnny Paycheck’s “Someone to Give my Love to” cementing Byrd as a Traditional Country Troubadour!! The Debut Album went on to be certified Gold, a reward signifying sales in excess of 500,000 copies. 2 Million Copies. “The Keeper of the Star’s” won Academy of Country Music’s “Song of the Year” award in 1995. A Keeper Year for Tracy Byrd for sure. His third studio Album, “Love Lesson” is one of Tracy’s favorites. It included the title track, another top five hit single for Byrd, also included were the top 15 singles, “Walking to Jerusalem” and “Heaven in My Woman’s Eyes”, Byrd’s personal favorite. A 4th top 15 single was released called “4 to 1 in Atlanta” which Byrd performed Live on the David Letterman Show. The “Love Lesson’s” album also reached sales of 500,000 copies certifying Gold. “Big Love” became Byrd’s fourth studio album with it’s release in the fall of 1996. It spawned two more top five singles with the release of the title track and “Don’t Take Her She’s All I’ve Got” The Video’s of both of these songs reached the top of CMT’s Video Chart’s and also earned Byrd his first TNN Television Special titled “Tracy Byrd’s Big Love” on which Byrd invited guest’s Johnny Paycheck, Mark Chesnutt, and Asleep at the Wheel. The Album “Big Love” became Tracy’s Fourth consecutive Studio Album to be Certified Gold. Tracy said that this meant more to him than anything because he knew Fan’s weren’t just listening to his hit songs on the radio, they were laying down their hard earned money to own a copy of their own and that was flattering. The fifth project on MCA was titled, “I’m From the Country” and it contained the title track a fun, party song stating what most fan’s already knew, that Tracy Byrd was from the Country and sang Country Music. The CD also contained a Beautiful Ballad called “I Wanna Feel That Way Again” Both of these single’s reached the Top Five on the Charts. It was at this same time that TNN Outdoors recruited Byrd as the TV Host of their Weekend Outdoor Broadcast. Tracy, a well known outdoorsman, was perfect for the job and continued his hosting responsibilities for three years. At this point in his career, Tracy Byrd, was looking for a change in labels, but still was under contract with MCA Records who were preparing a release of “Keepers: Greatest Hit’s” containing all the hit’s from Byrd’s catalog of songs. The album quickly earned another Gold Record award for Byrd but he was trying to persuade MCA to let him out of his contract so he could pursue a different direction. MCA finally allowed Byrd out of his contract and he quickly signed with RCA Records and got to work on a new project, “It’s About Time”, that would be released in November of 1999 and would reach the top 10 quickly with the single “Put Your Hand In Mine” Byrd has said that this album is the most Traditional Album he ever released and therefore his favorite. Tracy Byrd crossed into the new Millineum with the release of his Album “10 Rounds” It took off on the release of a duet with his longtime hometown buddy and hero Mark Chesnutt. The song was called “A Good Way to get on my Bad Side” and was a milestone for Byrd to finally get to record with his good friend. Then came the release of the party song of the year, “10 Rounds with Jose Cuervo” which shot to the top of the Billboard Charts to notch Byrd’s third #1 single. He also hit the top 10 with his spanish guitar flared “Just Let Me be in Love”. Next came “The Truth About Men”, which first released the title track which was a comedic look at what Men are really like, it was a team effort with Tracy’s buddies Blake Shelton, Andy Griggs, and Troy and Eddie of Montgomery Gentry lending their talents to the song and the video. This Album also released the top five smash “The Drinkin’ Bone” which became a crowd favorite sing along song. Byrd was then moved to BNA Records, the sister label of RCA, and they released his second greatest hits project, another feat that not many artists experience, two Greatest hits projects!!! It debuted in the top five of the album charts and became Byrd’s sixth Gold Album, and sent him to over 6 Million Records Sold!!! Byrd then left the major label and released an album on his own, appropriatelly titled, “Different Things” Although this project was not commercially successful, it garnered Byrd his highest Critical acclaim of his career with Billboard magazine choosing it as one of their Top 10 Country Albums of the Year!!! Byrd went back in the studio in June of 2016 and started work on his first project in 10 years. Recorded completely in Tyler, Texas at Rosewood Studios, that album is appropriatelly titled, All American Texan, which is exactly what he is and has always been. This album features 8 tracks written by Byrd, a fact he is very proud of. The album was released in October of 2016 and has been very well received by his fans and critics alike. If you get the chance pick up some Tracy Byrd music, and catch a show on the road. You won’t be sorry that you did!! !